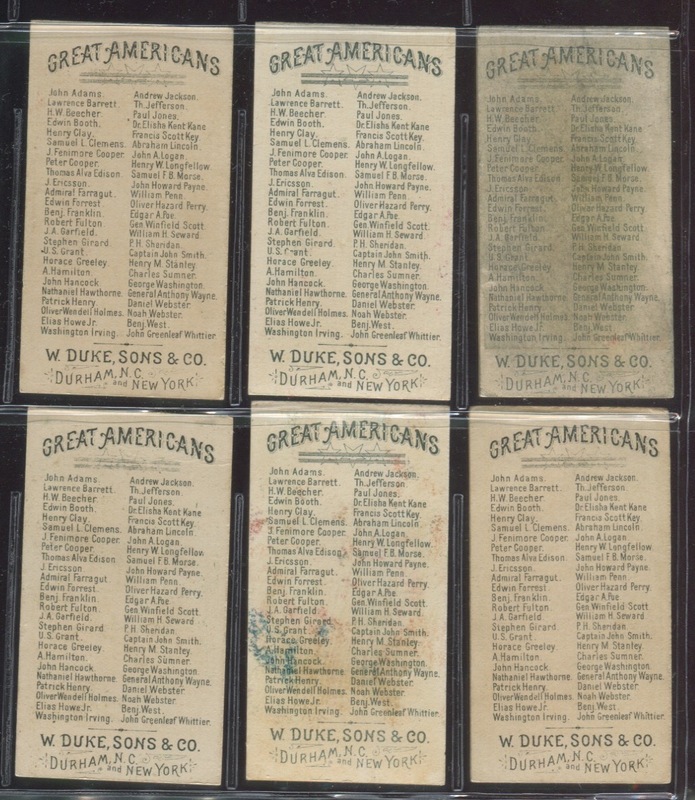 The N76 Duke Tobacco Great Americans set is arguably the best looking Duke set from the dozens they offered during the 1880's. The artwork and lithography of the set is second to none really. 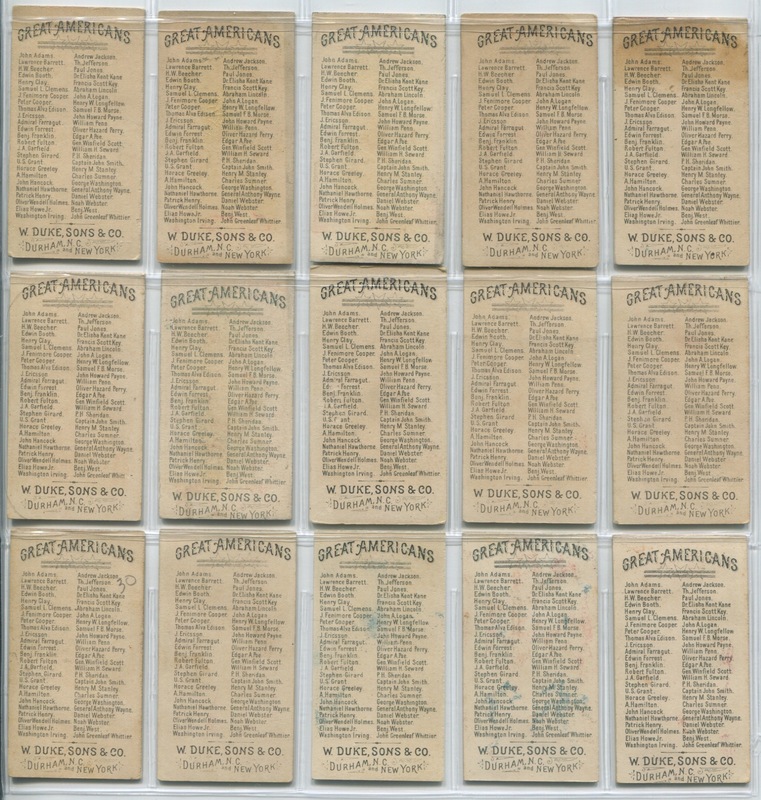 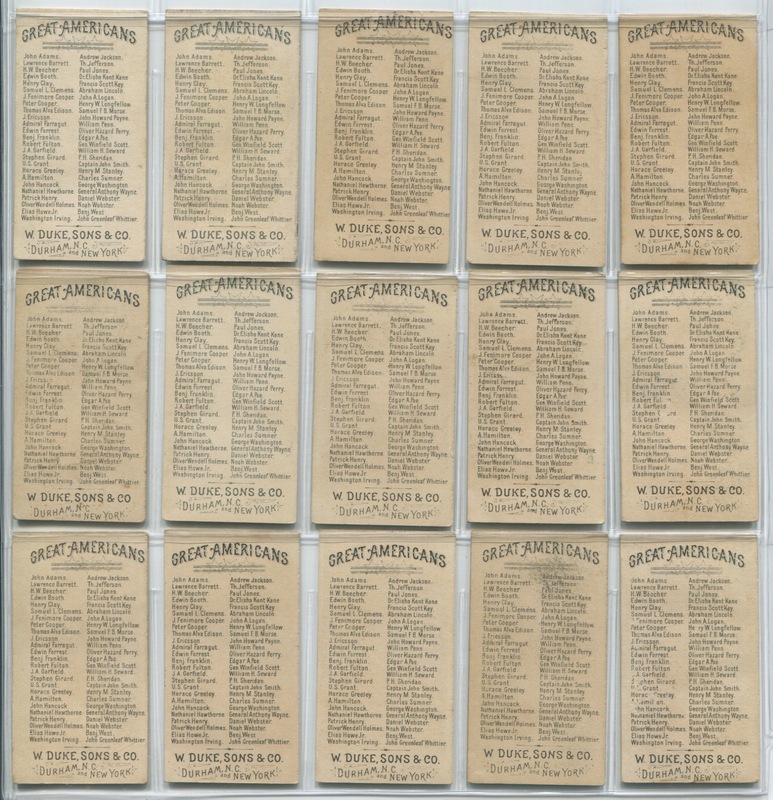 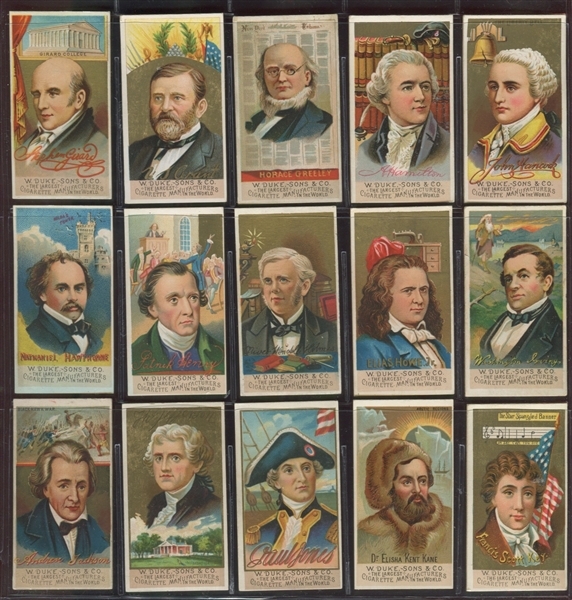 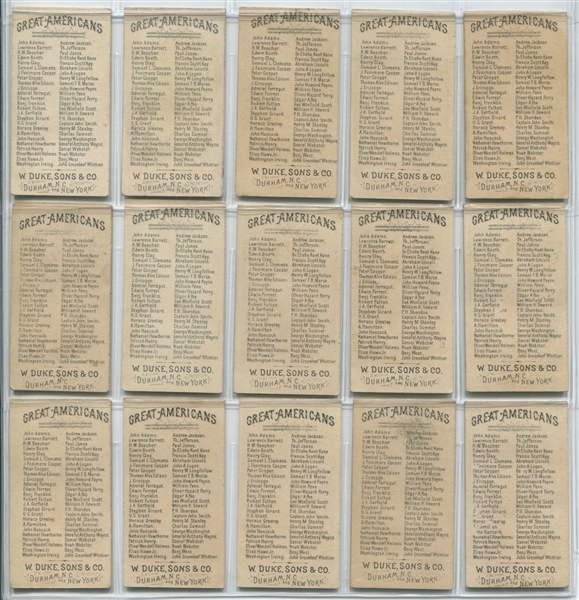 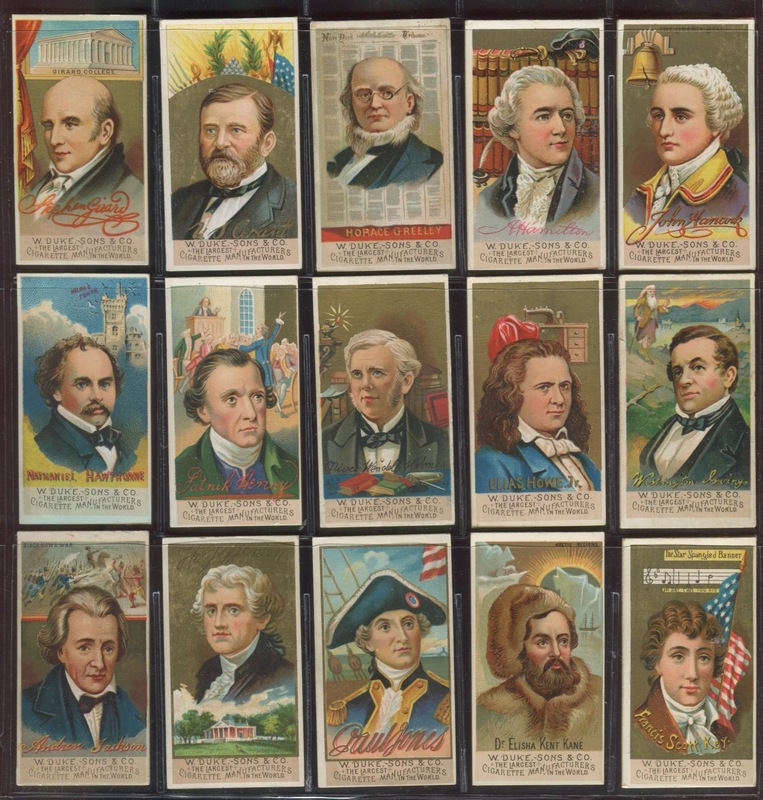 Duke selected generals, presidents, poets, inventors and other famous Americans to include in their set. Inexplicably, they made two versions of the Henry Ward Beecher card. 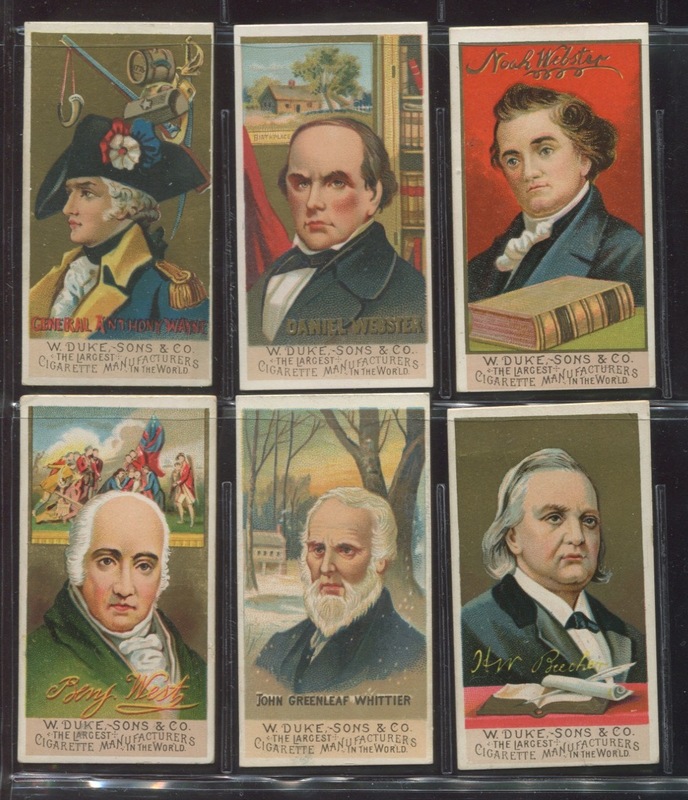 Beecher was an clergyman and abolitionist who passed away in 1887. It is generally believed to be an 1888 issued set but there is no known reasons for the second Beecher card. 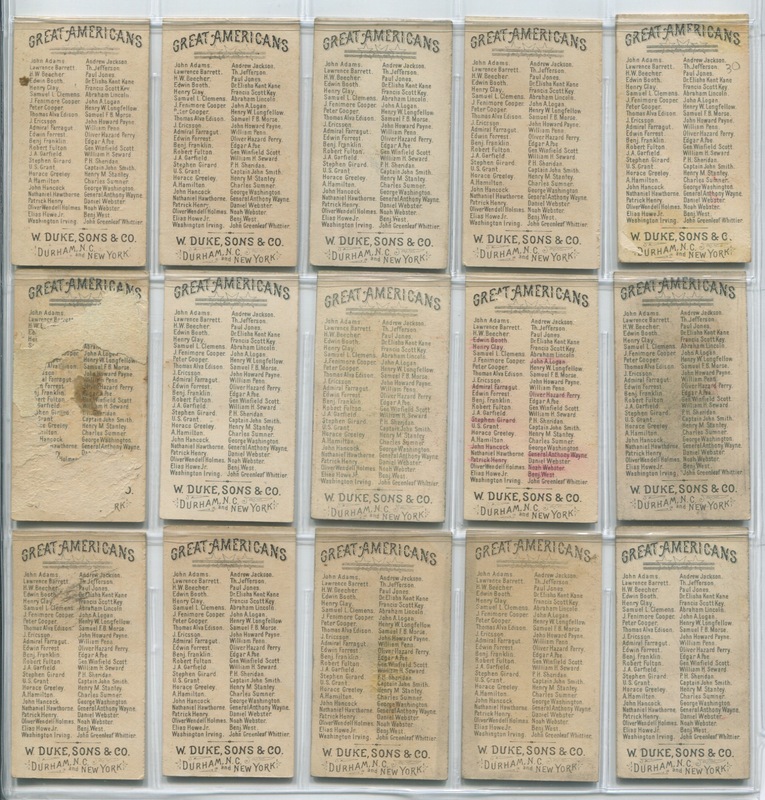 The condition breakdown on this set of cards is as follows: VGEX to EX condition (31 cards), VG condition (7 cards) and Good or less condition (13 cards). 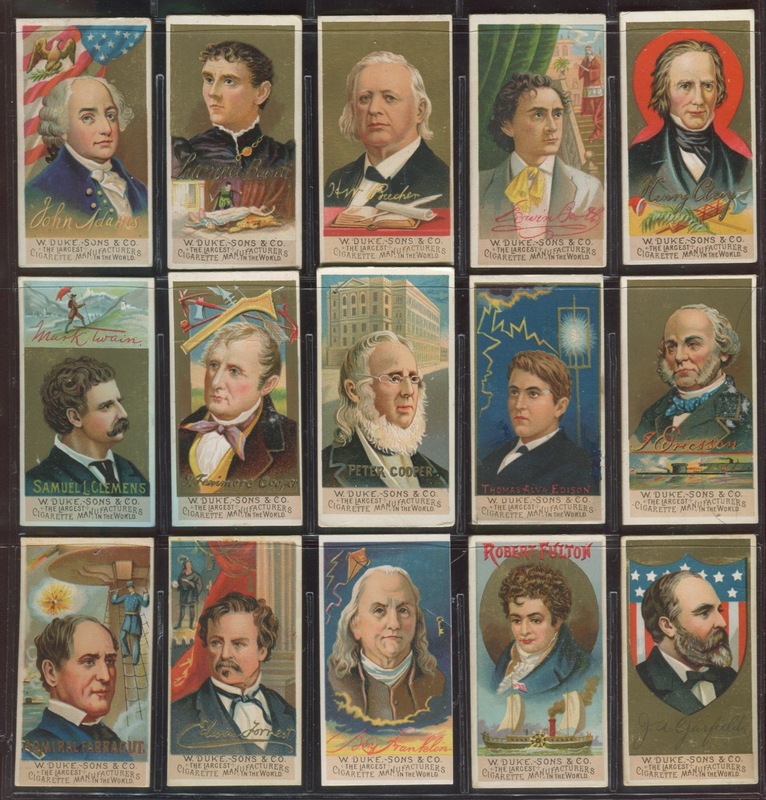 This set displays excellently with only a very few cards having any real problems. 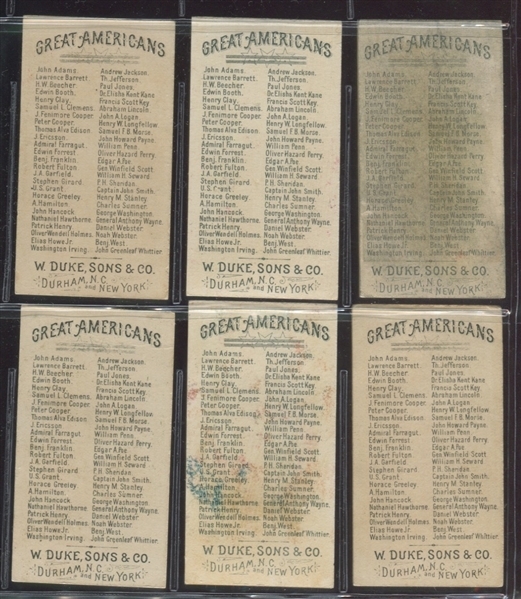 The VG and G cards display as better except for the ones with any level of back paper loss. 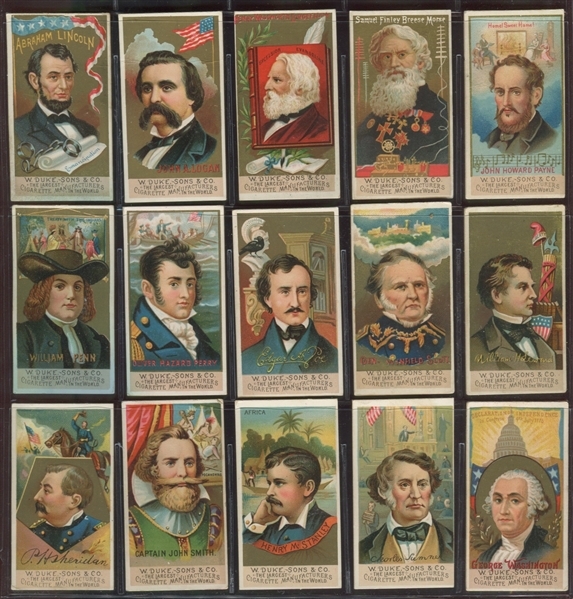 Great set that needs only a few upgrades to make it into a strong mid-condition set.